I found Peachtree Battle Estate Sales on the internet and I hired them to liquidate my mother’s home. What a fantastic job they did! They are a full-service company: They came in and arranged the whole house. They took things out of drawers and organized them, priced them and presented them in a professional manner. They moved furniture around to display it more effectively. They have an extensive mailing list and the first morning of the sale, there were people in line at 6:30AM for a 10AM opening!!! Their marketing really brought the buyers in. They think of everything! They even had an attendant in the street organizing the parking so as to not inconvenience the neighbors. They had porters to haul and load furniture into trucks and vans. Every detail was handled in a professional manner! Over two days they pretty much sold everything in the house including items I did not think anyone would want! Robert and Christy are a pleasure to work with. They are very professional, personable, and just plain nice! If you need an estate liquidation, Peachtree Battle Estate Sales is definitely the way to go!!! Peachtree Battle Estate Sales is the consummate professional estate sale company. We were downsizing from our family home of 16 years and needed someone to guide the process. Peachtree Battle Estate Sales was just that company! We had a wide variety of valued items in our home, and they handled the sale of everything with incredible professionalism and expertise. An estate sale was held on our property for most items – with some items being sold by their international auction division that handles fine antiques – and some items were sold at their own Gallery on Miami Circle. Overall I would highly recommend them! We had a wonderful experience with Peachtree Battle Estate Sales. Our sale was packed with buyers all three days. On the third day, there were cars parked up and down both sides of our Buckhead corner lot. What I learned from this experience is how hard Christy, Robert, and their whole team work to put on the best estate sale possible. Workers were at our house the Thursday before unearthing things and arranging them to price later. Christy, Terry, Andrew, and Melissa were all so careful with my things, asking about age, provenance, etc. They then worked all week long and very long hours to carefully organize, research, and display. They will put some of my very valuable things in their future auction to get the items wider exposure. Keith in particular had very impressive knowledge of many areas of antiques. The sensitivity of Christy and Robert to my need to get top dollar was balanced with their deep understanding of their clients’ desire to get the best deal. They were firm in their scheduled discount plan which assured me there would be no discounts on day one. I felt secure in every transaction because I had seen every price before the doors opened, and I knew Christy would be the cashier with Robert also on site. The whole crew had worked as a team to give a seamless estate sale. Cleanup and donation of things happened the following Tuesday and here I am thanking them on Wednesday! My late mother did estate sales in Birmingham for 35 years so I had very high expectations for any company I picked. I chose this company because I have been to many sales and in my opinion Peachtree Battle is the very best. I try to go to as many estate sales as possible. If I have a conflict in scheduling and have to choose between sales I always choose Peachtree Battle Estate Sales. The sales are run in a professional manner with strict pricing/discount guidelines and they always have packing paper/materials on hand. I think it’s important to understand that they work on behalf of the seller and not the buyer. If it’s not in the seller’s best interest, they won’t accept offers. I am a reseller and I have had great success in selling the items purchased at their sales. Again, Peachtree Battle Estate Sales is always my first choice. We have been going to estate sales in the Atlanta area for over 30 years and we have had success on and off. I recently attended one at held by another company that almost stopped me from going entirely. They were selling items at 80% of retail value and it was ridiculous. At a recent sale by Peachtree Battle held at Andruw Jones home in Sugarloaf we found just the opposite. The pictures were totally representative of what we found at the sale and the prices were more than fair even on non-discount days. The items were flying out of the home and I am sure it was a successful sale for all concerned. Robert and his staff were very helpful and professional. We will go to future sales with this company since they obviously know what they are doing to get items sold at a fair price. I love Peachtree Battle’s sales! They are always professionally run with tons of friendly staff available to answer questions or get pricing. All of the items for sale are set up and staged neatly so it’s easy for me to shop. They even help you wrap up your purchases with free paper and boxes which is a definite plus when you buy breakable items. There are hundreds of estate sales every week and it can be difficult to choose which ones to go to. But I know that Peachtree Battle will be fairly priced and have tons of great finds! I don’t know how they manage to always find such great houses full of amazing, one of a kind, items. I’ve been shopping with Peachtree Battle for a long time and I will definitely continue to do so in the future. Peachtree Battle Estate Sales is a great company. I’ve been to probably two dozen of their sales over the last couple of years — their prices are fair and they pick great estates to liquidate – it seems they always have high quality goods, The staff is considerate and helpful, and the owners, Robert and Christy, obviously work hard to get the details right for both their clients and their customers. These guys are honest and honorable – and I recommend them highly. Peachtree Battle Estate Sales is the very very best in Georgia – whether you like rare antiques, cool vintage collectibles, designer goods, or everyday household items. Their prices are more than fair (to both buyer and seller). Their employees are super friendly and have a wide range of expertise. To boot, their sales are always well organized. 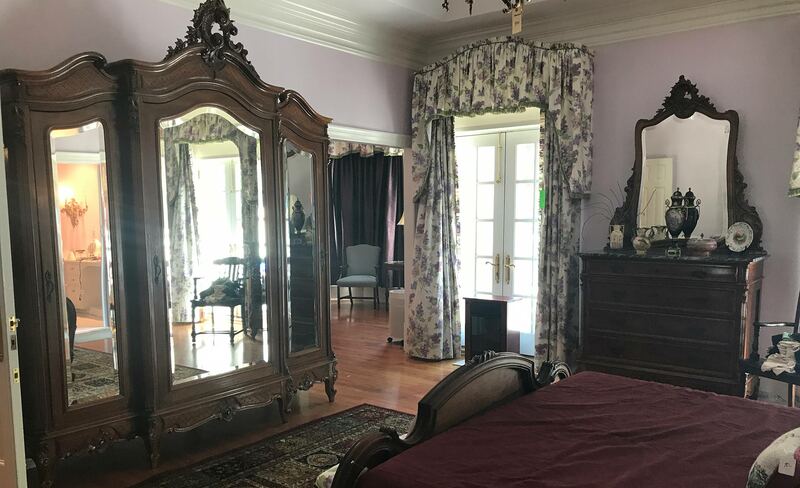 I go to estate sales, moving sales, and yard sales every week, and whether I am buying for my shop, my home, or a gift for a loved one, I never miss a Peachtree Battle Estate sale. Come to one and you’ll see why.